I don’t recall ever seeing a 3-D movie, not even the award-winning Avatar. So, I added it to my bucket list, in hopes of turning this goal into a reality. 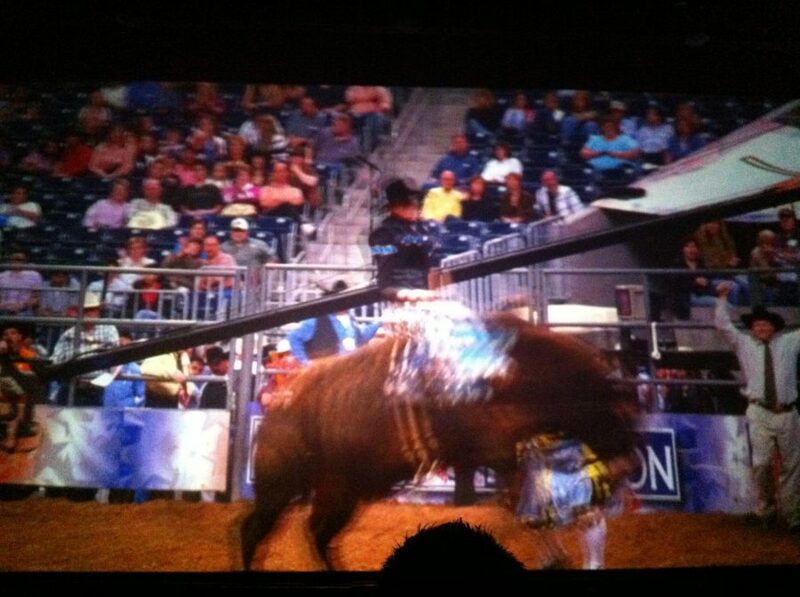 Luckily, Texas does everything bigger and San Antonio one-upped this dream by offering a 4-D movie experience. I am not sure what the fourth D would actually entail, but I was not passing up the opportunity to find out. And the Alamo Trolley will take me there. 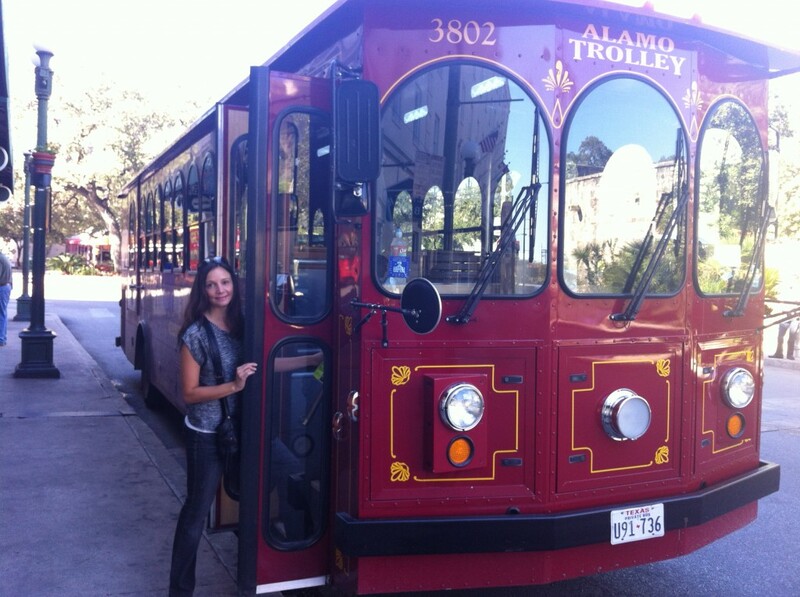 The Alamo Trolley makes ten stops at some of the most famous San Antonio sites. Though I didn’t have time for all of them I did make it to the Alamo, Institute of Texan Cultures, Mission San Jose, King Williams Historic District, Market Square and, of course, the Tower of the Americas where my movie experience was awaiting. I hope they have popcorn. 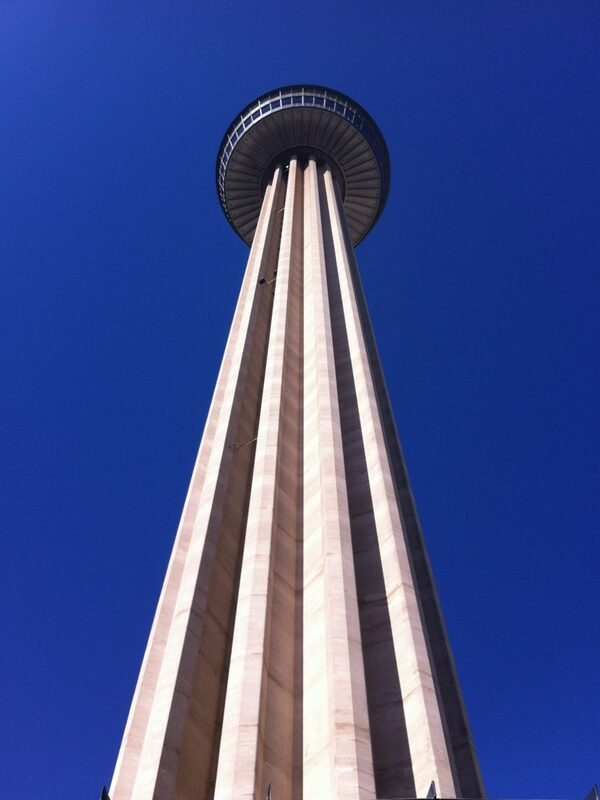 The Tower of the Americas is 750 ft high, taller than the Space Needle, not nearly as tall as Toronto’s CN Tower. After taking the elevator to the top and witnessing the 360 degree view, it was time to travel back down to safety for the 12:30 showing of Skies Over Texas. I didn’t want to be late and have to sit in the front row. We were each given a pair of uber-chic red glasses. These weren’t those flimsy paper 3-D glasses, these were made of sturdy plastic. If they weren’t loaners, they could have been my next fashion statement. For the next fifteen minutes we took a high-flying trip over the Lone Ranger State, where I dodged objects being flung at my head. I swear. There was a snake that striked at my face. He missed. The bucking bronco nearly stomped on my lap. This was getting dangerous. My chair shook, mist was sprayed on my head and puffs of wind blew. Now I know what the fourth D is. 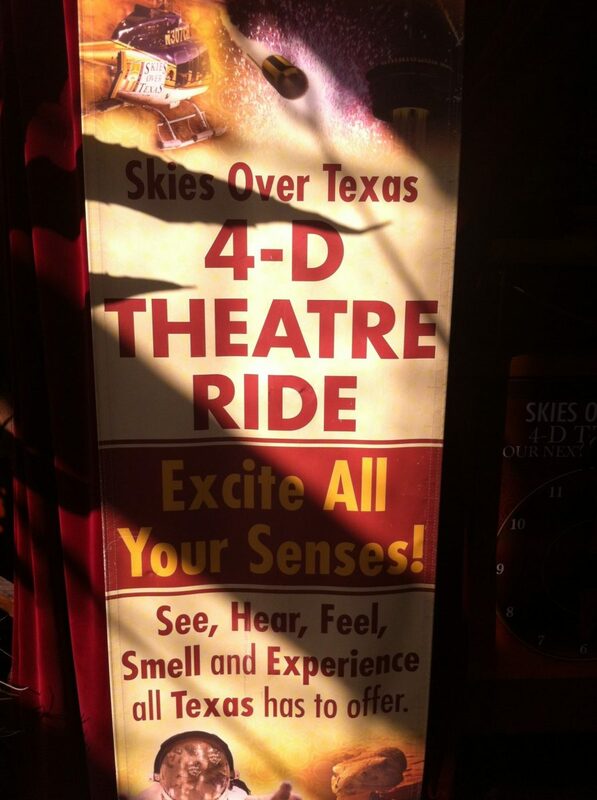 Have you ever taken the Alamo Trolley or seen a 4-D movie? Disclosure: These attractions in San Antonio were sponsored by The Alamo Trolley and the San Antonio Convention & Visitors Bureau, but all the words I write come straight from my, sometimes distorted, mind. Just as it should be. I didn't know what 4D was, but now that I know what the 4th D is, I guess I have been to some 4D shows, one of them being The Bugs Life show at California Adventure. Real good! I bet the show at California Adventure was superb! Yep, we have been to one at the Vancouver Aquarium. I didn't have any idea what they were either and about jumped a foot when something brushed my foot from behind. Once you figure it out though, it's a lot of fun. I have to say I'm not a huge fan of the 4D movies. I have been to the ones Disney World rolled out YEARS ago but try to avoid them at a lot of other places. The one at the Newseum in DC was pretty hokey. I bet Disney does the best 4D show out there! Ive seen two, bugs life one at Disney’s Animal kingdom which scared my 4 year old silly because of the 4th D, and a great piece at The London Eye, where you had all of that, and bubbles from the ceiling when the fireworks were going off-absolutely brilliant! 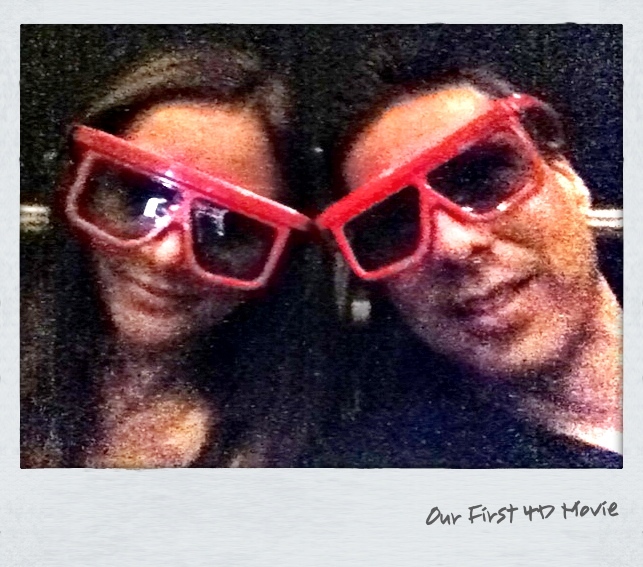 We did 4D at the Coke Museum in Atlanta and loooooved it! I’ll have to check that one out if i ever make it to Atlanta!